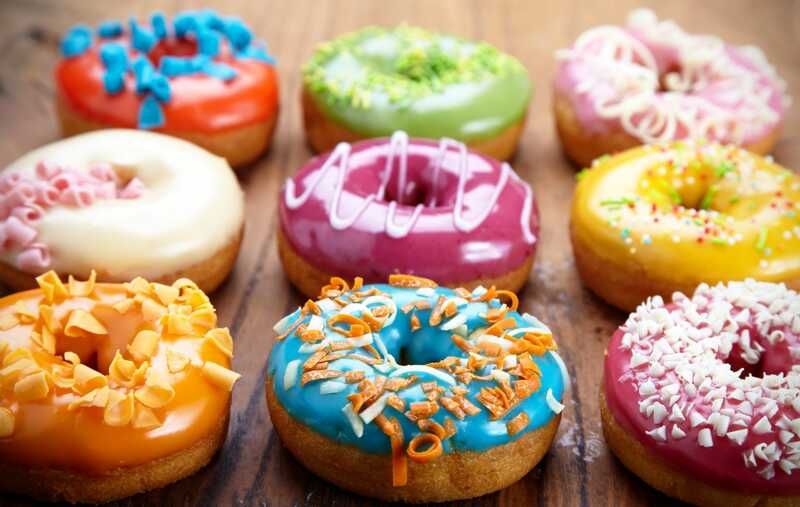 7 Ways to Stop Sugar Cravings for Good! Do you ever crave sugar after a meal even though you feel full? If you’ve ever experienced an insatiable hunger for sugary foods that seem to consume your thoughts, or if you’re working really hard to shed extra weight and find yourself stuck in a loop of sugar cravings over and over again, this is for you. There’s endless research coming out to show just how serious sugar addiction can be. Long-term intake of sugar causes dopamine levels to lower, triggering sugar cravings in the brain for that hit of “feel good” chemicals. Sugar is a sneaky culprit of inflammation, mood disorders, weight gain, hormone imbalances and more… so how do you get off the stuff? Our cravings are governed by our hormones, our gut bacteria and our blood-sugar. If any or all of these factors aren’t addressed, quitting sugar will feel like an uphill battle or may even seem impossible. Naturally eliminating your cravings for sugar requires more than will-power, in fact approaching sugar addiction with sheer will-power isn’t advisable at all. Instead, let’s discover 7 highly effective ways to stop sugar cravings naturally, and with more ease. 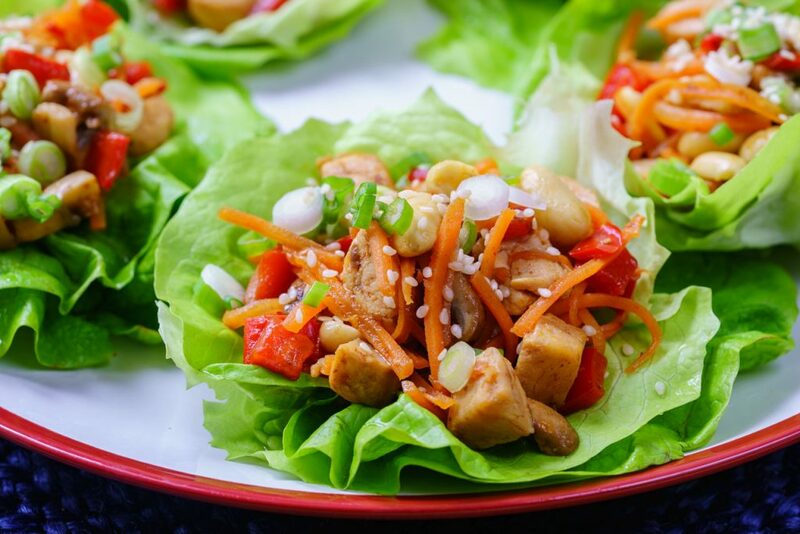 Clean Eating… what is it? It’s not dieting or depriving yourself and it’s not about restricting calories. Instead, Clean Eating is about being mindful of the foods you choose to eat and creating colorful meals full of real, whole foods. This leaves little to no-room for processed foods and even less room for sugar. By adopting a Clean Eating commitment even for 30 days, you’ll find it a lot easier to skip the sugar. Part of the reason this works is that often times our brains will tell us we want sugar when our bodies aren’t getting enough nutrition. Once you’ve begun nourishing yourself with real food, you can start to reprogram your cravings. If you feel like you’re ready for support, you can learn more about the CleanFoodCrush 30 Day Clean Eating Challenge here. Plan to fail if you fail to plan, as the saying always goes. But sometimes you’re busy and you end up stuck. I get it. Sometimes you’ve had a hard day and a sugary comfort just seems like the justified action to take. If you’re working hard to achieve a goal of weight loss, hormonal balance or fitness, you know this pattern needs to end. Fortunately, there’s a really simple way that’s always worked for me and has served countless numbers of people in their efforts to eat better and kick sugar cravings. Enter: meal-prepping! You might think you don’t have time, but TRUST me when I tell you that meal-prepping will actually give you more time freedom AND you’ll save money on groceries at the end of the month. Why does this work? 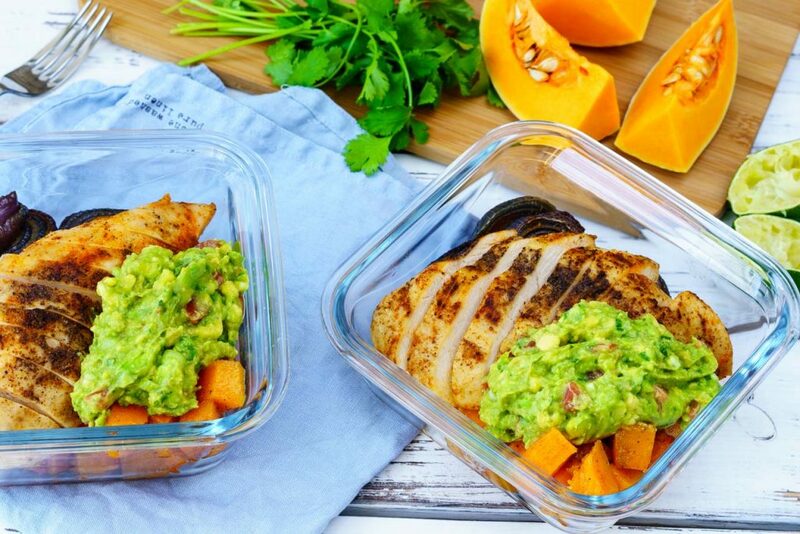 When you’ve got meals on hand, you can take them with you on the go and eat healthy anywhere. This helps to keep your blood sugars stable and prevents you from eating something that might set you back from achieving your goals. It’s an essential amino acid used in the body to break down proteins effectively – but why use it to kick sugar cravings? L-Glutamine has been shown in scientific studies (1) to reduce or outright eliminate sugar and alcohol cravings! Supplementing with L-Glutamine on a daily basis also supports gut-health, muscle-building efforts and metabolism. 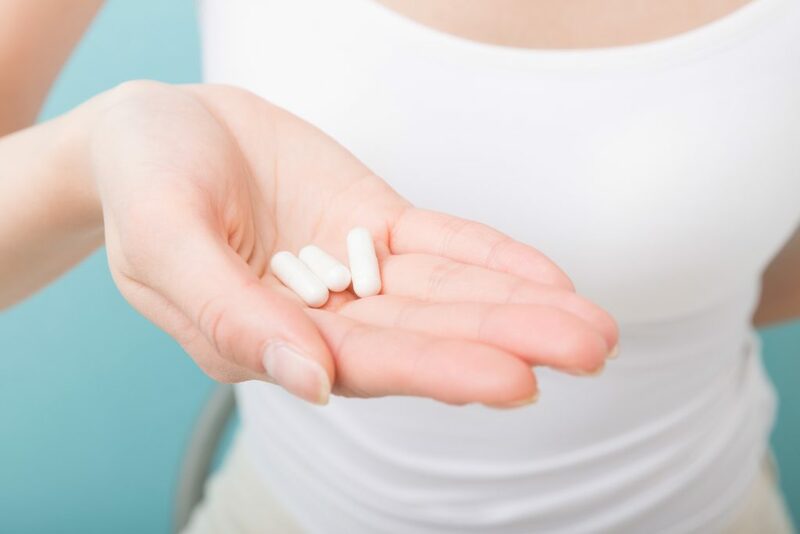 This supplement is generally very safe because it’s an amino acid, but you should still make sure you check with your health care practitioner before supplementing especially if you’re on any pharmaceutical medications. Magnesium is an important mineral for the role it plays in the body. Best absorbed at night, it’s a fairly affordable mineral supplement that can benefit almost anyone and has endless benefits from supporting sleep to muscle recovery and balancing blood sugar levels. Some evidence shows that insulin resistance may in part be due to low magnesium (2), so ensuring your levels are optimal will support your weight loss efforts. 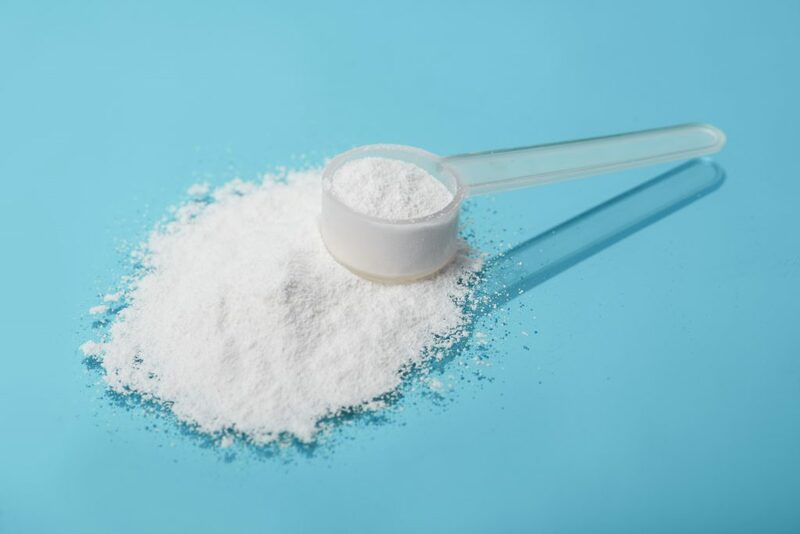 You can buy magnesium powder in almost any health food or grocery store or on Amazon and mix a spoon full with warm water before bed. 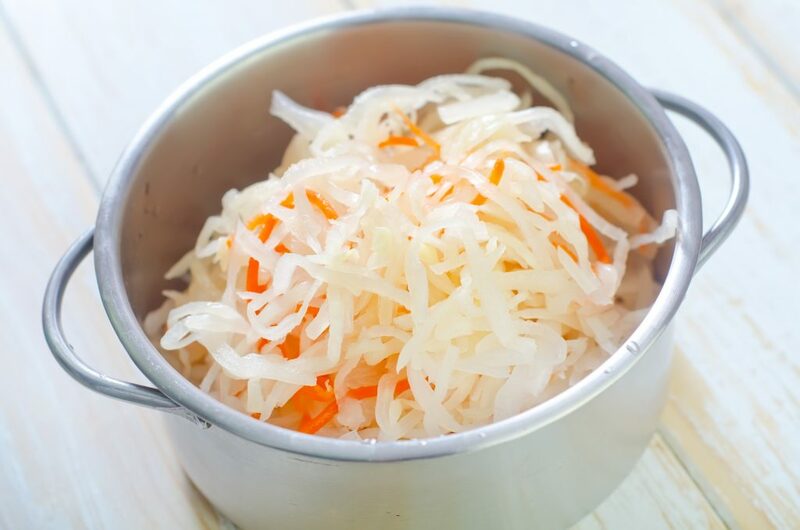 Fermented foods like kefir, yogurt and sauerkraut are all effective natural tools for rebalancing and replenishing the good bacteria in your gut while helping to eliminate the bad bacteria. Supplementing with probiotics is also a good idea because often times sugar cravings are a sign of too many bad bacteria in the gut. If you experience yeast overgrowth, agitating sugar cravings or late night hunger often – you may need to rebalance your gut. Sauerkraut is a simple way to combat your cravings and can be taken daily with your meals Try 1 teaspoon at breakfast and dinner to slowly help rebuild your gut bacteria and stop your sugar cravings. Science tells us that when we’re sleep deprived our willpower drops. (3) This isn’t exactly helpful when we’re trying to cut out sugar or reprogram our eating habits. Getting enough sleep is important for weight loss even if you’re not trying to quit sugar because it provides your organs time to regenerate and detox excess hormones. It’s these important processes that happen while you’re asleep that allow you to feel balanced, healthy and strong. Increasing your will-power is one more excellent reason to make sleep a priority. Aim for at least 8 hours and try to sleep in a dark room without your device present. When you think you’re hungry, try having a glass of water first. Thirst is frequently confused for hunger and this can lead to overeating and excess sugar consumption. Add lemon water to your daily routine for even better results. Your body and brain all benefit when you’re properly hydrated. 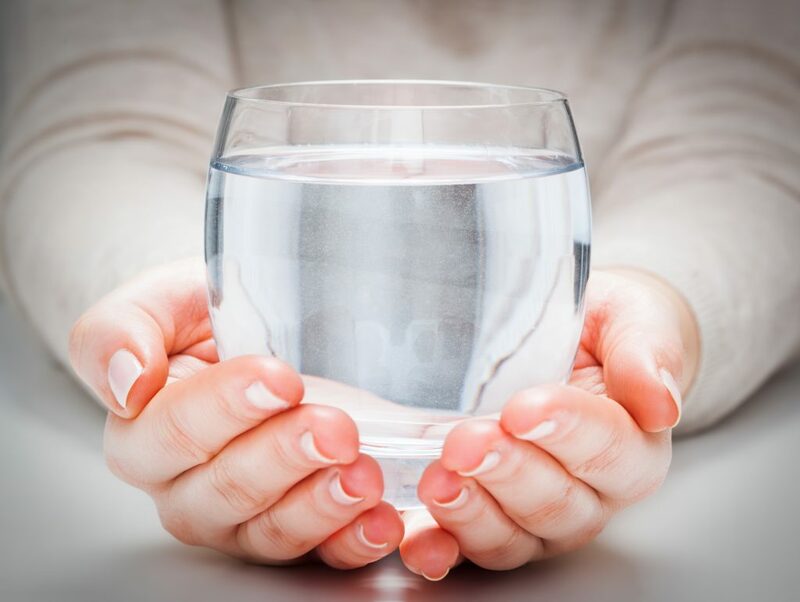 From improved concentration, more accurate hunger signals and more energy – you may find yourself wanting to exercise rather than consume sugar when you’re getting enough water! Challenge yourself to drink at least 8 cups a day and you’ll almost certainly notice improvement in how you look and feel. Sometimes we need help to make the changes we’re seeking in our lives. When it comes to lifestyle, having the support and guidance of people who have been where you are, can make a world of difference. That’s why I created the 30 Day Clean Eating Challenge! As a busy mom, I had to learn all about Clean Eating the hard way. Through my trial and error, I created a program that has now helped thousands of women transform without doing the extra heavy lifting. All you have to do is commit, and my team and I will guide you through the process. Meal plans, step-by-step instructions and private Facebook support included! 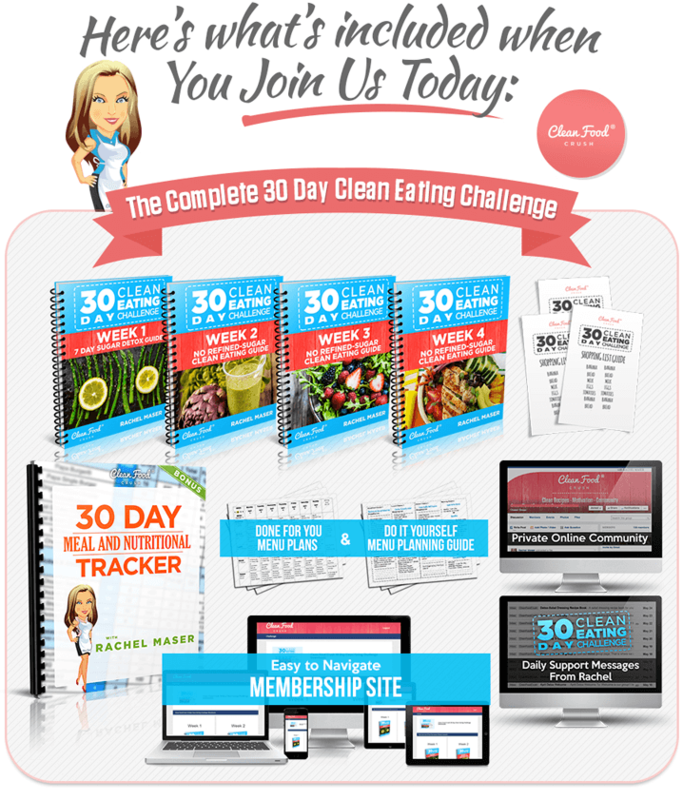 If you’re ready to transform your life and body, take the 30 Day Clean Eating Challenge with me.